Customizable, this full-length strapless dress features a romantic sweetheart neckline and classic lace overlay. Completed with a modified circle skirt, the lux chiffon adds a flowy touch. 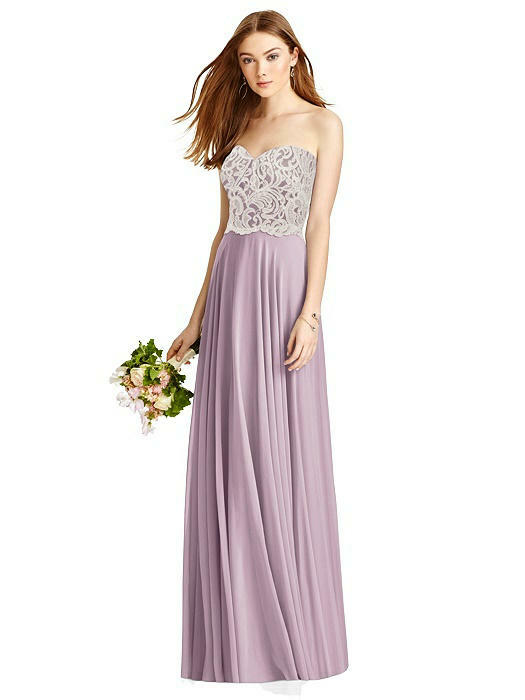 Lace overlay and lux chiffon colors can be selected for a stunning, personalized silhouette. Fit Tip: The natural waist and bust measurement take priority for style 4504. If you are over by an inch or two on the hip, you should have enough room to release the side seams to allow for that variance.